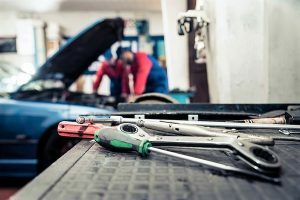 Now if you’re looking for insurance to cover your customer’s vehicles while they’re in your control, Insurance Brokers of Arizona offers an insurance policy named Garagekeepers. A garagekeeper’s insurance policy is different from a garage owner’s insurance policy. Garagekeepers is meant to protect your customer’s vehicle when they leave it with you. If their vehicle is damaged or stolen while in your care, custody and control, your garage keepers policy could help cover the damages or stolen vehicle cost.